Ross joined Berwick Physiotherapy in 1999 and has over 19 years’ experience as a Physiotherapist. 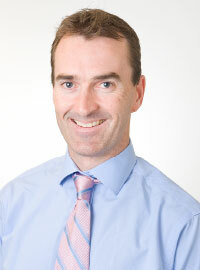 He graduated from La Trobe University with a Bachelor of Applied Science in Physiotherapy in 1994. Ross’ breadth of experience spans settings including The Gippsland Base Hospital, the National Health Service in the UK, and a number of private practices in Melbourne. Ross completed a Post Graduate Diploma in Musculoskeletal Physiotherapy in 1998 with a special interest in lower back pain which continues to be a focus of his clinical practice. He is an active member of the Australian Physiotherapy Association having served on the Musculoskeletal Committee in the port folio of Continuing Education. Ross has extensive experience in Track and Field Athletics having competed at State level in both 400 metres and 400 meters hurdles. He has a particular interest in running-related injuries and has worked with local and elite level sporting clubs including the Victorian Junior Softball Team. Ross has also undertaken further post graduate training in Pilates, headache management and dry needling. He aspires to provide a high level of evidence-based physiotherapy service. Ross has strong relationships with local doctors and surgeons and places a high priority in the value of communication between Health Practitioners. Away from work, Ross enjoys spending time with his wife and 2 young children. He enjoys most sports and in particular continues to run socially, pursue his golf handicap and is a member of the ‘Berwick Physiotherapy Blokes’ triathalon team.